In this July 21, 2012 file photo, Equifax Inc. in Atlanta, Georgia, is pictured. The credit reporting agency announced Tuesday that its CEO, Richard Smith, is retiring as the company reels from a massive data breach. Embattled Equifax CEO Richard Smith stepped down Tuesday, less than three weeks after the credit reporting agency disclosed a disastrous hack to its computer system that exposed the sensitive personal information of 143 million Americans. His departure follows those of two other high-ranking executives who left in the wake of the hack, which exploited a software flaw that the company did not fix to expose Social Security numbers, birthdates and other personal data that provide the keys to identify theft. Smith, who had been CEO since 2005, will also leave the chairman post. 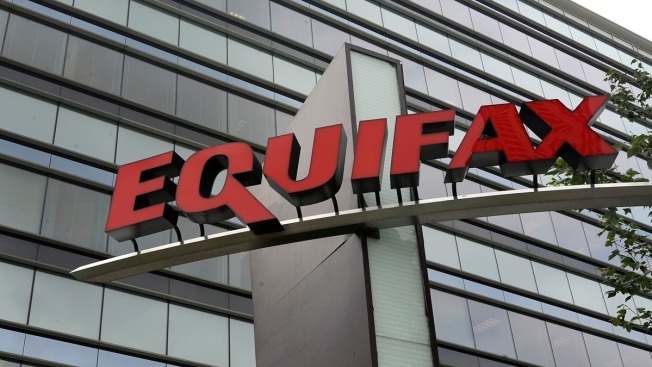 Equifax called his departure a retirement, but he will not receive his annual bonus and other potential retirement-related benefits until the company's board concludes an independent review of the data breach. Even if the review does find Smith at fault, he could walk away with a retirement package of at least $18.4 million, along with the value of the stock and options he was paid out over his 12-year tenure. There is a possibility the board could "claw back" any cash or stock bonuses he may have received, but corporations typically set high thresholds for that type of action. The 57-year-old executive, who made almost $15 million in salary, bonuses and stock last year, would also be able to stay on the company's health plan for life. Paulino do Rego Barros Jr., most recently president of the Asia Pacific region, was named interim CEO. Board member Mark Feidler was appointed non-executive chairman. Equifax said it will look both inside and outside the company for a permanent CEO. Even with the departures of three top executives, Equifax is still facing several state and federal inquiries and a myriad of class-action lawsuits, including congressional investigations, queries by the Federal Trade Commission and the Consumer Financial Protection Bureau, and probes by several state attorneys general. On Tuesday, the city of San Francisco became the first municipality to sue Equifax for exposing its residents to identity theft. The state of Massachusetts sued Equifax last week. Three other executives were found to have sold stock for a combined $1.8 million before Equifax disclosed the breach, though the company says they were unaware of it at the time. Although Wall Street analysts had previously applauded Equifax's performance under Smith, he and his management team came under fire for lax security and their response to the breach. Confusion over the terms of credit-monitoring protection and jammed phone lines added to public's ire. The company's stock has lost about a quarter of its value — a $4.4 billion setback. Equifax's board clearly needed to deal with Smith, not only as a public show of penance for the breach but also for the company's bungling since informing consumers their identities are in danger of being stolen, said Bart Friedman, a lawyer specializing in corporate governance issues for Cahill Gordon and Reindel. "This was like a five-alarm fire, and the lack of an appropriate response by management just poured gasoline on that fire," Friedman said. "If you are sitting on that board, I don't know how you could have permitted him to stay in his role. I have rarely seen such a botched response to an existential threat." Equifax tried to appease incensed lawmakers, consumers and investors by announcing the unceremonious retirement of its chief security officer and chief information officer last week, who were responsible for managing and protecting the company's technology. But that wasn't enough, with lawmakers drawing up bills that would impose sweeping reforms on Equifax and its two main rivals, Experian and TransUnion. Smith had been scheduled to appear at two congressional hearings next week that would likely have turned into a public lambasting. The House Energy and Commerce committee said in a tweet that it still plans to hold its hearing Oct. 3. A spokeswoman for the Senate Banking Committee said that panel's Oct. 4 hearing remains scheduled as planned. Sen. Brian Schatz, a Democrat from Hawaii, said Smith's departure just days before he was to appear before Congress was "an abdication of his responsibility." He said he expected Smith to testify before the Banking Committee "regardless of the timing of his retirement." 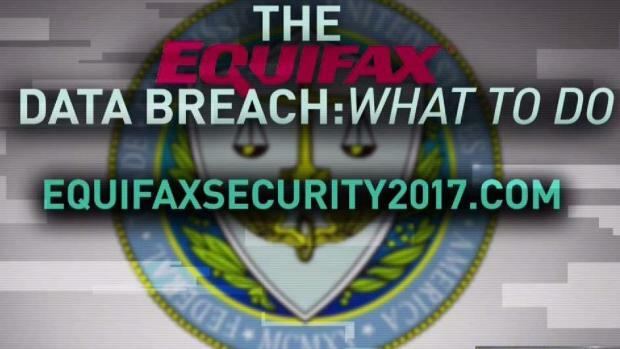 If you have a credit report, you were likely affected by a massive security breach at a Equifax. Consumer reporter Susan Hogan talks with Robert Schoshinski of the Federal Trade Commission about the steps you should take to protect yourself. Equifax said it did not fathom the breadth of information that had been stolen until shortly before issuing a public alert on Sept. 7, triggering the wave of withering condemnations that led to Smith's departure. The jobs of other Equifax executives could still be in jeopardy. The three executives who sold shares, including Equifax's chief financial officer, are under scrutiny. In a hearing Tuesday, the chairman of the Securities and Exchange Commission, Jay Clayton, refused to comment when asked by lawmakers if executives at Equifax engaged in insider trading when they sold their shares. He did not confirm or deny that the SEC was investigating the issue. However, he opened the door to potentially forcing the executives to return the proceeds of the stock sales, if the company's six-week delay in disclosing the breach is found to be improper. Liedtke contributed from San Francisco. Chris Rugaber contributed to this report from Washington, D.C.